Niet in Mexico? Kies de winkel van het land waar je je in bevindt om verkrijgbare boeken te zien. 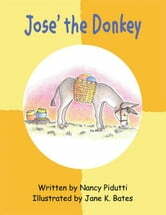 Take a trip to Mexico where Pedro, Maria, and their little donkey, Jose, live near the rural village of Palomas. Watch them prepare for market day as Maria sends her handmade crafts to be sold. Imagine Joses excitement as the children gather around him to play! The trip home has a big surprise. Jose is very tired and begins to fuss at Pedro. He digs his feet in and doesnt want to go any farther when suddenly a fierce pack of coyotes appears! Read the rest of the story to find out what happens next. 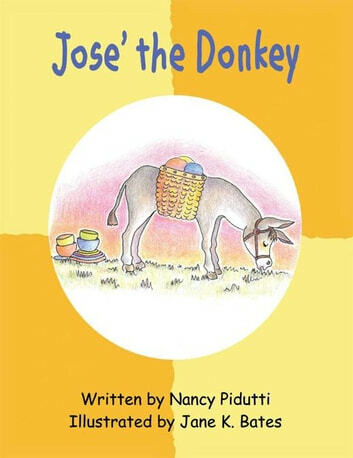 Parents can enjoy reading this story to their children and talking with them about the lessons we can learn from this little family. You can also practice the Spanish words.